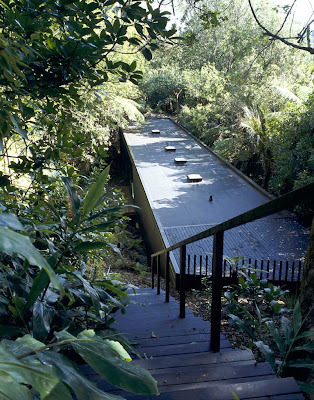 Our cover story this month is about Chris Tate's amazing glass box house deep in the dense New Zealand rain forest. The house has no driveway access, with just a slim timber staircase snaking down into the forest ravine to reach the deck. 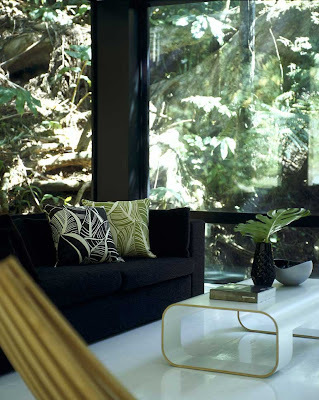 Inside, the house is all clean lines and a simple palette of black and white, broken by vibrant dashes of lime green. 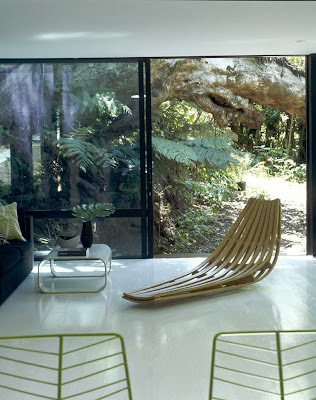 Love the green Leaf chairs by Lievore Altherr Molina for Arper, and the slatted timber Glide chaise by David Trubridge. Find out more about this house that manages to marry style and sensitivity to the environment so well by visiting Chris Tate's website. Wow - amazing! 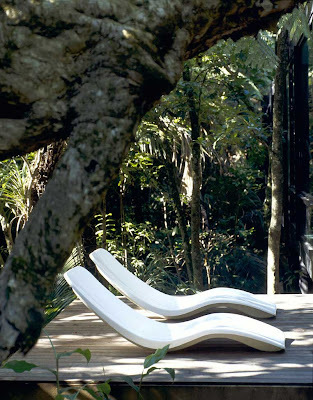 I love how the furniture and accessories mimic the outside environment. What an amazing place--love the floor to ceiling windows. no ways! 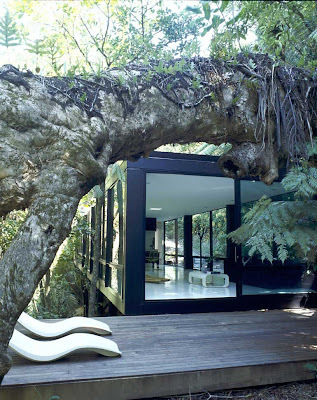 I just saw this house in one of my other favourite magazines and its be-oo-ti-ful. Very inspiring stuff. an amazing place, though no fun for the furniture movers - eek. I love all the light and foliage. also the fact that it's very male but still full of soul..not just that hotel look i've been moaning about. i bet it sounds amazing too, with birds, rain, wind etc. and music. Beautiful space! 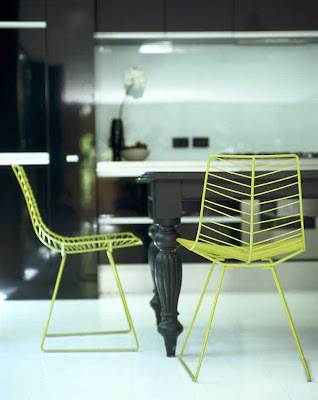 I absolutely adore those pea green leaf chairs.